英文摘要：General anesthesia is a situation with drug-induced inhibition of central nervous system which can be used for long-term operation procedures and invasive experiments. The thalamo-cortical loop, especially the thalamus, is supposed to play a role in anesthesia-awakening regulation, however, whether the thalamus is the most important brain region and this regulation is asymmetric remain unclear. The present study used the south African clawed frog (Xenopus laevis) as an animal model, and 6 cortical electrode pairs were implanted on the frog skull:both sides of the telencephalon, diencephalon and mesencephalon, respectively. The frogs were immersed in triciane methanesulfonate for general anesthesia and the electroencephalogram signals were recorded for the "pre-anesthesia, administration, recovery and post-anesthesia" cycle continuously. Lempel-Ziv complexity (LZC) was calculated for each stage. The results showed that LZC values differed significantly among various stages, and the highest values occurred during the awakening period and the lowest values occurred during the anesthesia period; and significant correlations were found exclusively between the duration of administration stage and LZC values for the right hemisphere, especially for the right thalamus. These results suggested that the anesthesia-awakening cycle could be reflected by LZC, and the right thalamus might play an important role in anesthesia-awakening regulation. 薛飞, 方光战, 唐业忠. 2016. 大脑听觉偏侧性的特征与演化[J]. 四川动物, 35(4):626-631. Abásolo D, Simons S, da Silva RM, et al. 2015. Lempel-Ziv complexity of cortical activity during sleep and waking in rats[J]. Journal of Neurophysiology, 113(7):2742-2752. Alkire MTM, Haier RJP, Shah NKM, et al. 1997. Positron emission tomography study of regional cerebral metabolism in humans during isoflurane anesthesia[J]. Anesthesiology, 86(3):549-557. Antognini JF, Barter L, Carstens E. 2005. Movement as an index of anesthetic depth in humans and experimental animals[J]. Comparative Medicine, 55(5):413-418. Béhuret S, Deleuze C, Gomez L, et al. 2013. Cortically-controlled population stochastic facilitation as a plausible substrate for guiding sensory transfer across the thalamic gateway[J]. PLoS Computational Biology, 9(12):e1003401. DOI:10.1371/journal.pcbi.1003401. Billard V, Gambus PL, Chamoun N, et al. 1997. A comparison of spectral edge, delta power, and bispectral index as EEG measures of alfentanil, propofol, and midazolam drug effect[J]. Clinical Pharmacology and Therapeutics, 61(1):45-58. Brown EN, Lydic R, Schiff ND. 2010. General anesthesia, sleep, and coma[J]. New England Journal of Medicine, 363(27):2638-2650. Bruhn J, Myles PS, Sneyd R, et al. 2006. Depth of anaesthesia monitoring:what's available, what's validated and what's next?[J]. British Journal of Anaesthesia, 97(1):85-94. Bruhn J, Ropcke H, Hoeft A. 2000. Approximate entropy as an electroencephalographic measure of anesthetic drug effect during desflurane anesthesia[J]. Anesthesiology, 92(3):715-726. Burioka N, Miyata M, Cornélissen G, et al. 2005. Approximate entropy in the electroencephalogram during wake and sleep[J]. Clinical EEG and Neuroscience, 36(1):21-24. Dadda M, Zandona E, Agrillo C, et al. 2009. The costs of hemispheric specialization in a fish[J]. Proceedings of the Royal Society B:Biology Science, 276(1677):4399-4407. Fan SZ, Yeh JR, Chen BC, et al. 2011. Comparison of EEG approximate entropy and complexity measures of depth of anaesthesia during inhalational general anaesthesia[J]. Journal of Medical and Biological Engineering, 31(5):359-366. Fan YZ, Yue XZ, Xue F, et al. 2018. The right thalamus may play an important role in anesthesia-awakening regulation in frogs[J]. PeerJ, 6:e4516. DOI:10.7717/peerj.4516. Fang GZ, Xue F, Yang P, et al. 2014. Right ear advantage for vocal communication in frogs results from both structural asymmetry and attention modulation[J]. Behavioural Brain Research, 266:77-84. Fang GZ, Yang P, Xue F, et al. 2015. Sound classification and call discrimination are decoded in order as revealed by event-related potential components in frogs[J]. Brain, Behavior and Evolution, 86(3-4):232-245. Ferenets R, Lipping T, Anier A, et al. 2006. Comparison of entropy and complexity measures for the assessment of depth of sedation[J]. IEEE Transactions on Biomedical Engineering, 53(6):1067-1077. Fiset P, Paus T, Daloze T, et al. 1999. Brain mechanisms of propofol-induced loss of consciousness in humans:a positron emission tomographic study[J]. Journal of Neuroscience, 19(13):5506-5513. Franks NP. 2008. General anaesthesia:from molecular targets to neuronal pathways of sleep and arousal[J]. Nature Reviews Neuroscience, 9(5):370-386. Frasnelli E. 2013. Brain and behavioral lateralization in invertebrates[J]. Frontiers in Psychology, 4:939. DOI:10.3389/fpsyg.2013.00939. Goddard N, Smith D. 2013. Unintended awareness and monitoring of depth of anaesthesia[J]. Continuing Education in Anaesthesia, Critical Care & Pain, 13(6):213-217. Guénette SA, Giroux MC, VAChon P. 2013. Pain perception and anaesthesia in research frogs[J]. Experimental Animals, 62(2):87-92. Guo Y, Wang Z, Li Y, et al. 2016. Lateralization of gene expression in the honeybee brain during olfactory learning[J]. Scientific Reports, 6:34727. DOI:10.1038/srep34727. Heinke W, Koelsch S. 2005. The effects of anesthetics on brain activity and cognitive function[J]. Current Opinion in Anaesthesiology, 18(6):625-631. Heinke W, Schwarzbauer C. 2002. In vivo imaging of anaesthetic action in humans:approaches with positron emission tomography (PET) and functional magnetic resonance imaging (fMRI)[J]. British Journal of Anaesthesia, 89(1):112-122. Hudetz AG, Liu X, Pillay S, et al. 2016. Propofol anesthesia reduces Lempel-Ziv complexity of spontaneous brain activity in rats[J]. Neuroscience Letters, 628:132-135. Katoh T, Suzuki A, Ikeda K. 1998. Electroencephalographic derivatives as a tool for predicting the depth of sedation and anesthesia induced by sevoflurane[J]. Anesthesiology, 88(3):642-650. Kay BK, Peng HB. 1991. Xenopus laevis:practical uses in cell and molecular biology[M]. London:Academic Press. Lempel A, Ziv J. 1976. On the complexity of finite sequences[J]. IEEE Transactions on Information Theory, 22(1):75-81. Liang Z, Wang Y, Sun X, et al. 2015. EEG entropy measures in anesthesia[J]. Frontiers in Computational Neuroscience, 9:16. DOI:10.3389/fncom.205.00016. Loepke AW, Soriano SG. 2008. An assessment of the effects of general anesthetics on developing brain structure and neurocognitive function[J]. Anesthesia & Analgesia, 106(6):1681-1707. Mahon P, Greene BR, Greene C, et al. 2008. Behaviour of spectral entropy, spectral edge frequency 90%, and alpha and beta power parameters during low-dose propofol infusion[J]. British Journal of Anaesthesia, 101(2):213-221. Muthuswamy J, Roy R, Sharma A. 1996. A study of electroencephalographic descriptors and end-tidal concentration in estimating depth of anesthesia[J]. Journal of Clinical Monitoring, 12(5):353-364. Pocock G, Richards C. 1993. Excitatory and inhibitory synaptic mechanisms in anaesthesia[J]. British Journal of Anaesthesia, 71(1):134-147. Ries CR, Puil E. 1999. Mechanism of anesthesia revealed by shunting actions of isoflurane on thalamocortical neurons[J]. Journal of Neurophysiology, 81(4):1795-1801. Rogers LJ. 2014. Asymmetry of brain and behavior in animals:its development, function, and human relevance[J]. Genesis, 52(6):555-571. Rogers LJ, Rigosi E, Frasnelli E, et al. 2013. A right antenna for social behaviour in honeybees[J]. Scientific Reports, 3:2045. DOI:10.1038/srep02045. Rogers LJ, Vallortigara G. 2008. From antenna to antenna:lateral shift of olfactory memory recall by honeybees[J]. PLoS ONE, 3(6):e2340. DOI:10.1371/journal.pone.0002340. Roussigne M, Blader P, Wilson SW. 2012. Breaking symmetry:the zebrafish as a model for understanding left-right asymmetry in the developing brain[J]. Developmental Neurobiology, 72(3):269-281. Salva OR, Regolin L, Mascalzoni E, et al. 2012. Cerebral and behavioural asymmetries in animal social recognition[J]. Comparative Cognition & Behavior Reviews, 7(10):110-138. Samara A, Tsangaris GT. 2011. Brain asymmetry:both sides of the story[J]. Expert Review of Proteomics, 8(6):693-703. Sato Y, Mori K, Koizumi T, et al. 2011. Functional lateralization of speech processing in adults and children who stutter[J]. Frontiers in Psychology, 2:70. DOI:10.3389/fpsyg.2011.00070. Schartner M, Seth A, Noirhomme Q, et al. 2015. Complexity of multi-dimensional spontaneous EEG decreases during propofol induced general anaesthesia[J]. PLoS ONE, 10(8):e0133532. DOI:10.1371/journal.pone.0133532. Schultz TW, Dawson DA. 2003. Housing and husbandry ofXenopus for oocyte production[J]. Lab Animal, 32(2):34-39. Sherman SM, Guillery R. 2002. The role of the thalamus in the flow of information to the cortex[J]. Philosophical Transactions of the Royal Society B:Biological Sciences, 357(1428):1695-1708. Vallortigara G, Rogers LJ. 2005. Survival with an asymmetrical brain:advantages and disadvantages of cerebral lateralization[J]. Behavioral and Brain Sciences, 28(4):575-588. Vallortigara G, Versace E. 2017. Laterality at the neural, cognitive, and behavioral levels[M]//Call J, Burghardt GM, Pepperberg IM, et al. APA handbook of comparative psychology:basic concepts, methods, neural substrate, and behavior. Washington:American Psychological Association:557-577. Wilczynski W, Endepols H. 2007. Central auditory pathways in anuran amphibians:the anatomical basis of hearing and sound communication[M]//Narins PM, Feng AS, Fay RR, et al. Hearing and sound communication in amphibians. New York:Springer:221-249. Xue F, Fang GZ, Yue XZ, et al. 2016a. A lateralized functional auditory network is involved in anuran sexual selection[J]. Journal of Biosciences, 41(4):713-726. Xue F, Fang GZ, Yue XZ, et al. 2016b. Resting-state brain networks revealed by Granger causal connectivity in frogs[J]. Neuroscience, 334:332-340. Yue XZ, Fan YZ, Xue F, et al. 2017. 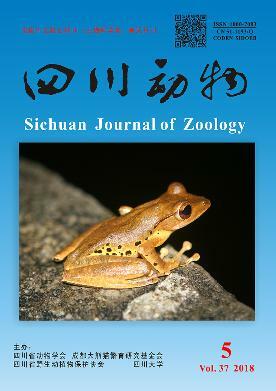 The first call note plays a crucial role in frog vocal communication[J]. Scientific Reports, 7(1):10128. DOI:10.1038/s41598-017-09870-2. Zhang XS, Roy RJ, Jensen EW. 2001. EEG complexity as a measure of depth of anesthesia for patients[J]. IEEE Transactions on Biomedical Engineering, 48(12):1424-1433.